In today’s media-centric society, body image is as big a topic as ever. In the second episode of a two-part series with Dr. Jennifer Farrell, Tana and her discuss the many different types of eating disorders, their common causes, and ways to take the first step towards healthier eating habits. 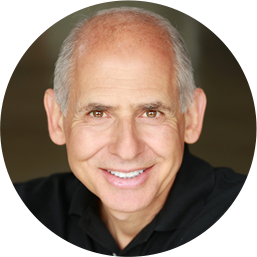 Dr. Daniel Amen:	The Brain Warriors Way podcast is brought to you by Amen Clinics, where we've transformed lives for three decades, using brain SPECT imaging to better target treatment and natural ways to heal the brain. For more information, visit AmenClinics.com. 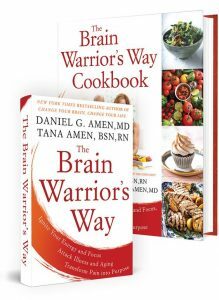 Tana Amen:	The Brain Warrior's Way Podcast is also brought to you by BrainMD, where we produce the highest quality nutraceutical products to support the health of your brain and body. For more information, visit BrainMDHealth.com. Welcome to The Brain Warrior's Way Podcast. We're back and I'm back with Dr. Ferrell. We're going to talk about eating disorders. You are an addiction specialist, but you also deal a lot with eating disorders. Dr. Jennifer Farrell:	And eating disorders. Tana Amen:	I love that. This is pervasive in our society. I know people tend to relate it to women. I know it's not just a female disorder. Dr. Jennifer Farrell:	No, I have plenty of male patients. Tana Amen:	I notice because I have a 14-year old daughter. I see her friends. It's nonstop the talk about being thin, about their bodies, about not liking their bodies. One day they came over to my house and they saw on Instagram some tea that's supposed to be good for you and it was a detox tea. It was labeled, "Detox Tea." They came over and they were making tea. I came downstairs and I happened to see it. Now, I tend to know these code words, and I picked it up, and it was a laxative tea. They didn't actually even know that. But I'm just saying it's so pervasive, it's actually scary. It starts so young. Some of these girls don't even realize it and they're on this slippery slope before they even know it. When I told Chloe that, she actually freaked out because she just didn't know. She was so freaked out and so scared. But I saw even early on her discomfort starting with her body. I hated my body when I was young. Dr. Jennifer Farrell:	Oh, my goodness. I think you hate your body until you hit 40 and then finally, "I don't care." Tana Amen:	"I don't care." Right? Tana Amen:	That's exactly what happened. I hated my body. I used to just beat myself up and then I just remember I went through a lot of therapy. I remember just finally one day going, "I actually don't care what you think about me." I don't know what happened, if it's hormonal or if it's finally just enough therapy. I'm not exactly sure. 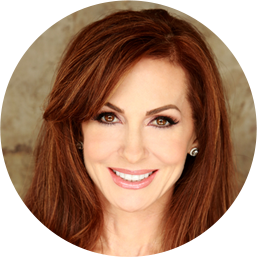 Dr. Jennifer Farrell:	Yeah, age is magical for women. Tana Amen:	Yeah, it's wonderful. I wouldn't go back to save my life. There's no way. Dr. Jennifer Farrell:	Not unless I could bring my brain with me to my 20's and then I would do it all day. Tana Amen:	Just so that I could do it so cool. I could be so cool. Tana Amen:	Florida is like that, I think. Dr. Jennifer Farrell:	Yeah. I don't know if it's because we're in bathing suits all year long. Tana Amen:	I think so. Dr. Jennifer Farrell:	We're by L.A. I think it's a lot worse in California than it is in other places. There's this normal aging and body image stuff that we all have to work through as young women. A lot of men work through that, too, for various reasons, but that's different than actually developing an eating disorder. There's a lot of differences. There are a lot of different kinds of eating disorders. There are some that are characterized by restricting food intake. There are some that are characterized by just overeating and just diving into food and binging. Then there are some people will binge, and then they feel guilty, and then they'll purge. They'll use laxatives. They'll use exercise or induce vomiting. Tana Amen:	I did that horribly when I was young. Tana Amen:	I didn't even know. I have to just stop you for one second. I didn't know exercise bulimia was a thing until I went to the doctor one day, and I had the flu, and I had gone to the gym. I literally had a fever and I had gone to the gym. He was like, "What are you doing?" I'm like, "I'm trying to sweat it out." He was like, "And how often do you do that?" I'm like, "Well, if I'm stressed, I go to the gym. If I'm sick, I go to the gym." He's like, "You have bulimia." I was like, "No, I don't." I was so horrified, but I had all of the characteristics. That was my control mechanism was to go sweat it out. I hated my body and I had all those same issues. It was a control thing. Is that a common thing? Dr. Jennifer Farrell:	It is. It is. It's hard to talk about eating disorders as one category because there are so many different types and so lumping in anorexia with binge purging, with overeating, it's difficult to have one generalized conversation. Tana Amen:	We can have our version. Dr. Jennifer Farrell:	Yes. Control is a big issue. For a lot of people, the way that they grow up, there's books written on family dynamics of eating disorders. For some people, food becomes the only way they can control and so they regulate themselves through regulation of food because they've never been allowed to control anything else in their lives before. For other people, overindulging in food is somehow emotionally protective. I don't know if you've ever seen this show on cable called My 600-Pound Life. Dr. Jennifer Farrell:	It's kind of like a documentary where they follow people who are morbidly obese and weigh 500, 600 pounds plus. They go through their various treatments when they seek help from a weight-loss specialist. They talk about the diet, and nutrition, and exercise. Tana Amen:	It's not that simple. Dr. Jennifer Farrell:	Yeah. It's not really a lack of self-control. It's really they're trying to soothe this deep anxiety and fear. Tana Amen:	It's like drugs or alcohol. Tana Amen:	Yeah. Interesting. That's so interesting. I know anorexia I've always heard is one of the most devastating. I know it kills a lot of young people in our society. Isn't it the second-leading cause of death of teenage girls or something like that? Dr. Jennifer Farrell:	I'm not fabulous about statistics because it bores me, but it's up there. There's a lot of dangers withholding and a lot of people who are severely underweight will also purge. We don't classify an eating disorder based on the behavior. We classify it based on weight. Someone with anorexia is below a certain percentage of a healthy body weight regardless of whether there's binging/purging behaviors. We can see with these young women, so not only are they not getting their nutrients, but if there's purging behaviors and you can have electrolyte imbalances, you can lose a lot of potassium and that's where you can have young people having heart attacks and strokes. Tana Amen:	Go into cardiac arrest. Dr. Jennifer Farrell:	Absolutely. It is very dangerous. Tana Amen:	Yeah. It's really scary. Yeah, I see this obsession that kids have with being perfect and that scares me. It actually scares me. Like you said, there comes an age. I'm not sure if it's probably always been that way to some degree. I think it's worse in our society. Especially in an internet society, it's pretty scary. Dr. Jennifer Farrell:	I would have died if I had Facebook when I was a teenager. Dr. Jennifer Farrell:	I couldn't have handled it. Tana Amen:	Right. It's terrible. I see the pictures of the young girls in seventh grade on Instagram and what they're putting out there. It's like, wow, the pressure is insane. These girls look like they're 16, and it's just crazy what they put themselves through to look like that, and to put these pictures out there. I don't know what to tell parents to help their young girls or kids in general. What advice would you have to families to help them be grounded and not be susceptible to that, or is there? Dr. Jennifer Farrell:	It's a complicated question because I see all sorts of patients with all sorts of different backgrounds that come in in different family dynamics. Certainly, when there's a family dynamic of shame around food, then that sets people up for secretive eating or trying to hide. You want to start with communication. If you think there's a problem, talking to your kids about it: "What do you think about this? What do you think about what's going on with your friends at school?" Just having conversations. I treat mostly adults. I don't treat young kids, so it's hard for me to jump into what you would say to an eight-year old. With the adults that I meet, these patterns are longstanding patterns and we have to go back and figure out, "Where did this come from?" Tana Amen:	I'm amazed at how often they don't really understand nutrition. It's gotten so mixed up in their heads. Dr. Jennifer Farrell:	Nutrition. We always say at the Amen Clinics, food can be your best medicine. Tana Amen:	Or your worst enemy. Dr. Jennifer Farrell:	Curly fries, and fast foods, and all these things. Tana Amen:	But they see all food as the enemy. Dr. Jennifer Farrell:	Potentially, yes. I have a good friend who had struggled with anorexia the whole time I've known her. She had such horrible anxiety. She called me one day and said, "I'm thinking about going on medication. My doctor said this medication. I'm crawling out of my skin. I've been doing therapy. What do you think?" I said, "Well, this is the right category of medication for you. I think that it could be helpful. What are your goals with it?" We just talked through it. She called me up. She was doing really well with it. Then in another conversation several weeks later, she told me she stopped it. I said, "Well, I'm curious why you decided. Did you have side effects?" She said, "No, actually it was working great. My anxiety went away and I stopped worrying about everything I was eating. I stopped worrying about the food and counting calories. I just felt relaxed and normal and I couldn't stand it." Tana Amen:	She's not used to normal. Dr. Jennifer Farrell:	Yes. I learned a very important lesson from one of my patients several years ago. It changed the way I practice medicine. She had had a panic disorder and panic attacks. I treated her. We got rid of the panic attacks and she called me one day from school and she said, "I haven't had any panic attacks." She said, "Dr. Farrell, I miss them." Tana Amen:	Oh, my gosh. Tana Amen:	It had become her normal. Dr. Jennifer Farrell:	It became her normal. As much as our brains want change, we are creatures of habit. It resists change. Tana Amen:	No, the brain hates change. Dr. Jennifer Farrell:	It does. When we're looking at whether we're talking about an addiction, or we're talking about an eating disorder or something, I have to take that into consideration. I'm actually really grateful that I had this conversation with her, that I stopped and listened. Tana Amen:	Oh, that's a really good point. Dr. Jennifer Farrell:	Because I talked to all my patients about it. As we're going along, logically, you want to change. Emotionally, your brain is going to fight that. When you start resisting this, we need to have a conversation of what our goals? Tana Amen:	Such a good point. Dr. Jennifer Farrell:	Are we reaching our goals? Are you fighting the goal? Are you really having a side effect? Tana Amen:	That's such a good point. Dr. Jennifer Farrell:	Are you really uncomfortable or are we hitting a home run and emotionally not ready to hit that home run? Tana Amen:	You made one other point, and I just want to touch on it really quickly before we wrap up, is you see adults for eating disorders. I think most people think of eating disorders as a childhood or adolescent disorder. Women have so much shame around eating disorders that they don't reach out for help. Dr. Jennifer Farrell:	So do men. Tana Amen:	Oh, I would think men would be worse. Tana Amen:	I think men it would be worse. Dr. Jennifer Farrell:	A female problem. Tana Amen:	And a weakness. Dr. Jennifer Farrell:	Mm-hmm (affirmative). Tana Amen:	I know so many women because they reach out to me on Facebook. I always encourage everybody keep sending me your Facebook messages, but it's outside of my scope of practice. It's not because I don't love you. If I pass you on to someone like Dr. Farrell, or I have the call center call you, it's because it's irresponsible for anybody to answer your questions on Facebook, especially if they are a nurse or a coach. I always have people send me their questions, but then I try to get them the appropriate help. It scares me that people are just giving willy-nilly advice on Facebook. Dr. Jennifer Farrell:	Yeah, it is never too late to hit the reset button on life. It doesn't matter how long someone has had an addiction, how long someone has had an eating disorder, how long someone has been in a toxic relationship, or had a pattern of those things. We can always go in. We need to set some goals and figure out what are the steps we're going to take to start reaching toward these goals. Tana Amen:	Absolutely. It's amazing, and I have heard so many people describe this, and I remember with my own issues going through therapy, and this is a really gross analogy, it's like popping a boil. It's terrible, terrible, terrible until you go in and you actually do it. Then you're like, "Ah." It's relief. Right? Am I wrong on that? Dr. Jennifer Farrell:	You're right. That is a really awful image. Tana Amen:	It's awful, right, but it's true. Dr. Jennifer Farrell:	It can be worse. There is a relief in doing it. But I'd say the relief comes with time because it's, again, that fear of the change. Tana Amen:	It's probably different for everybody, too, yeah. Dr. Jennifer Farrell:	That fear of getting better. But once you name it, there's something of just bringing it out of the darkness, and having a partner, and walking through that with you that can be really life-changing. Tana Amen:	I love that. This is Dr. Farrell. If you know someone or you are struggling, Dr. Farrell works in our Costa Mesa clinic. You can either call our call center or you can leave me a message below. Please leave it in my private mailbox if you're going to leave your contact information. If you want to leave your contact information in my private mailbox, we will have someone call you back. Thank you so much. Dr. Jennifer Farrell:	Thanks for having me. ← Substance Abuse: How Can You Help A Loved One Overcome Addiction?